Handwork is an integral part of the Waldorf Curriculum. On the one hand, knitting trains awareness and dexterity of both hands and, on the other, it awakens and promotes the children’s mental powers through the transformation by which a one-dimensional element, the thread becomes a two-dimensional fabric which has a three-dimensional function. In grade one, the children start the year by reviewing finger knitting making a braided belt. Then they learn to knit, making a buttoned pouch which is sewn onto the belt. Their next project is a coloured recorder case. In this project they learn to cast on, change colour and sew. For speedy knitters, animals will be the next. At the end of the year, the children make their own knitting needles. ​In grade two, the children first work on their sewing and embroidery skills, making a pencil case for their new pencil crayons. Then they learn how to purl in the making of a small rabbit. Towards the end of the year, they will be introduced to crocheting. Using a leather base and single crochet the children will make a draw-string treasure pouch. The emphasis in crocheting is on the dominant hand and even the dominant side of the body. This can have a harmonizing effect on the individual child’s temperament. In grade four the children again work on sewing, embroidering and sewing their own hand-work bag. They also learn to cross-stitch in a symmetrical form, making a needle case. With its symmetry, and supported by colour and form, cross-stitch helps children to gain confidence and inner firmness in this initial phase of their becoming independent. An understanding of a meaningful design to suit the purpose of the object begins to awaken. In grade six the children sew three dimensional stuffed animals, learning how to change a two-dimensional drawing into a three-dimensional object. This process includes drawing and clay-work. Other projects may include weaving, making other animals or a Waldorf doll. To suit the psychological stage the children have reached leading up to puberty, it can be helpful to make three-dimensional objects either based on the human form or animal form, or garments for people: soft dolls or animals (to their own design and pattern). The important aspects are the process of turning inside out (which corresponds to the children’s first attempts to show their inner being externally), of stuffing and shaping. 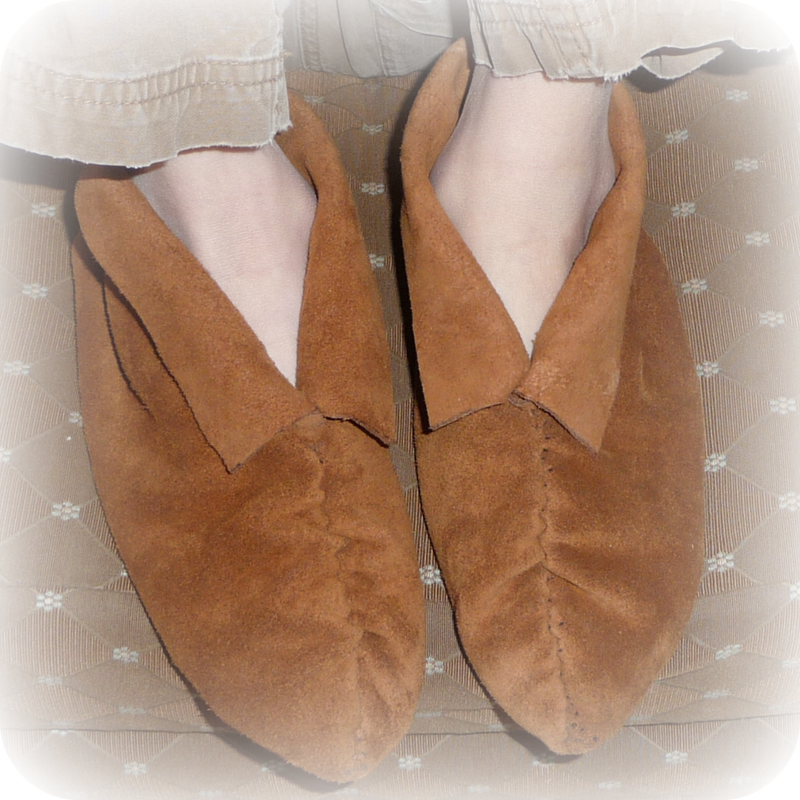 In grade seven the children will make moccasin slippers from their own pattern based on the outline of their own foot. They may also make pyjama pants, first making their own pattern. This is their first introduction to the sewing machine.